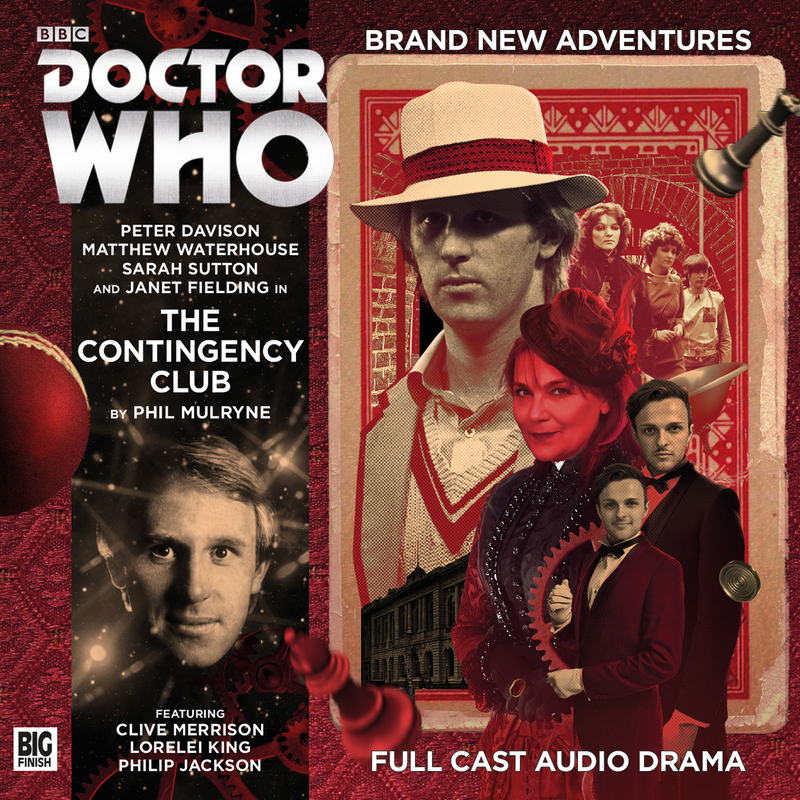 I really have to hand it to the writers of the new Big Finish audio’s for really nailing the motives and ‘USP’ behind each character in the new ‘5th Doctor, Nyssa, Tegen & Adric’ series and Phil Mulryne really raises the bar in this respect. We get to see the 5th Doctor with his analytical calm yet urgent style, Tegan being brash and constantly annoyed at everything, Adric trying to prove himself to a new Doctor and Nyssa trying to act as counsellor to all of them and keep the peace amongst her friends. All as always played to a tee by Davison, Fielding, Waterhouse & Sutton. The story itself is a fun and entertaining one, which in some ways reminds me of ‘Trading places’, where people’s lives are at stake over a bet (if you haven’t listened to the story yet, I’ll leave you to understand this reference after you have… also, check out Trading Places if you haven’t before, it’s awesome!) There is something magical and mysterious around the much fabled and secretive gentlemens clubs of the 19th century that naturally lends itself to a bizarre mystery and whilst you’re at it, why not throw in several mysterious man-servants who look identical and are all called Edward (all played brilliantly by Olly McCauley). I would also single out Lorelei King as the Red Queen as giving a rich performance; although the whole cast is amazing. Now I realise this is a confusing synopsis, but this really is one of those occasions where the story is so quirky and interesting that to explain further would rather give the game away on what is a really gripping story. I was cooking whist I listened to the first 10 minutes of this. How surprised was I when I heard the theme music indicating the end of part 1 came in and I realised 10 minutes had become 30 and I had barely pealed a carrot towards dinner. Surely a good sign for an interesting tale? The direction too by Barnaby Edwards is excellent and it’s lovely in the extras to hear him talk about the influences he thinks of when casting and directing these stories. It shows a care for the material that shines throughout.